TeamViewer is one of the most famous screen sharing and online collaboration tool, however it can appear too complex to use for some users. 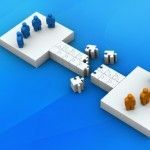 If for some reason you do not wish to use TeamViewer, then you can opt for other tools with similar functionality and a more simplified user interface. 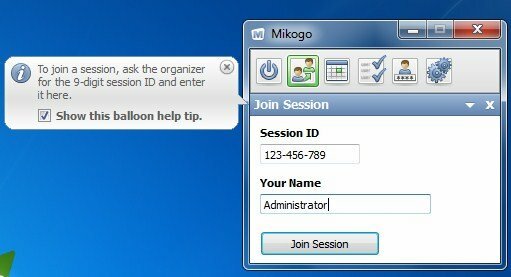 Mikogo is one such application which provides options to host online meetings, share your desktop and to collaborate with other users. 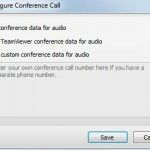 Mikogo can be used for a number of purposes, including web conferences, product demonstrations, web presentations, webinars, remote support, online meetings and the like. 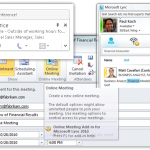 You can share your screen with 25 users simultaneously and benefit from its online collaboration features. 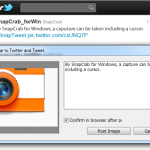 For example, you can share your screen to give a PowerPoint presentation to your participants. 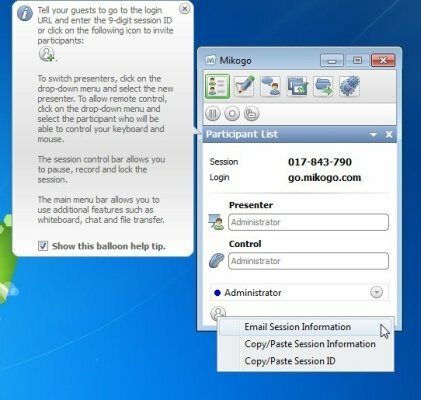 To get started, download Mikogo for your Windows, Mac OS X or Linux computer and login with your Mikogo I.D. You can sign up for a free account from the developer’s website. When logging in, you can also select a scree name that is appropriate for you. For example, you can use the screen name “Administrator” if you are providing remote support. Once done, simply click Start to initiate a session and share the login credentials with your required user. 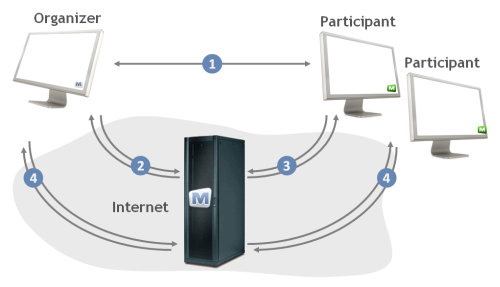 This concept of connecting remotely with other users via the internet is quite similar to other remote desktop applications such as TeamViewer. In order to allow your guests to connect to your remote session, provide them with the given URL and the 9 digit login I.D. Alternatively, you can use the Invite option to email or copy/paste the session information to invite guests to the session. If you are a participant, then simply click Join Session option and enter your session I.D. (provided by the host) and username. Once the credentials have been entered, click Join Session to connect with the host. 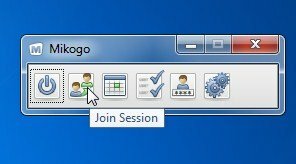 You can also schedule sessions (Scheduler option), change profile information and configure advanced settings from the options available on the Mikogo interface. 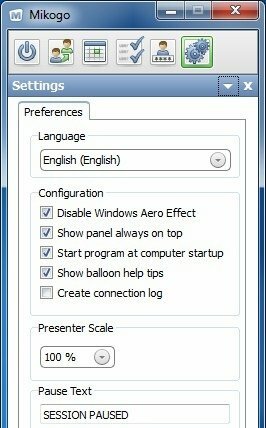 For example, you can disable Windows Aero Effect, show panel (always) on top, start program at computer startup, show balloon help tips, create connection log and configure proxy settings. 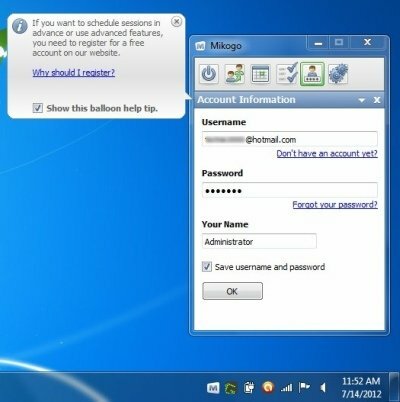 As Mikogo is a cross platform application, it has versions for Windows, Mac OS X and Linux. Mikogo has three packages including the Basic ($13 per organizer/month), Pro ($19 per organizer/month) and Pro+ ($24 per organizer/month).